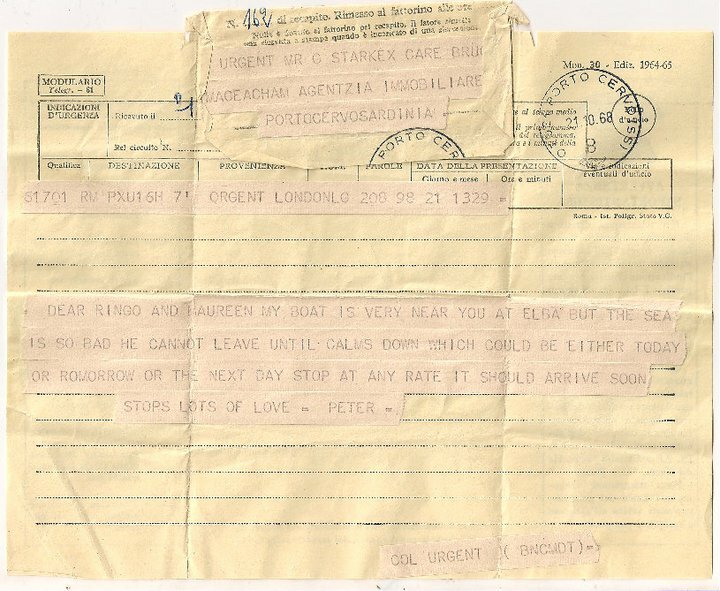 This telegram dated 21st August 1968 was sent to Ringo and Maureen from Peter Sellers. 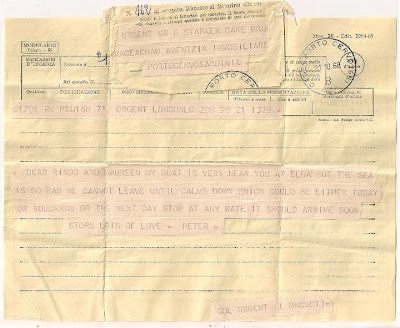 It is addressed to Mr G Starkex and is to let them know that the weather is holding up his visit to them. The Starkeys and Sellers were friends, later that year Ringo and Maureen bought Sellers' house and in 1969 Ringo would make the Magic Christian with the comedy star.